That’s SEVEN still operating for today. Technically Beech is IF you are a season pass or gold pass holder…but only for today and they will close for the season at the end of today. If you guys ever want a true test of your “balancing skills” try writing a “story” related to something as volatile and or controversial as that of Timberline Resort, Davis, West Virginia and the people surrounding the story. This website is here to report on and promote the member ski resorts. Some readers seem to have a problem with the fact that we provide a forum for EVERY member ski resort to share their message. True – most often that message is about specials, discounts, events, great conditions, etc. However, this website is here to share whatever message a ski resort owner, manager or marketing department wants us to share. Pretty much end of story. We also know that there are those of you, among our viewership, who own property at various ski resorts and when a resort makes decisions that hurt your property values…you can get vocal. When residents of those communities lose jobs or are affected financially, you become even more vocal. We get it. A couple stated that we should not be providing a forum for Mrs. Herz to express her thoughts or opinions. However, when SkiSoutheast starts making the decisions as to which resort content we will post or not post – we will immediately lose any value to the resorts themselves. Simply put, we owe it to them and to ourselves to be that resource. That is the way we’ve operated for 22+ seasons…and we will continue to. An interesting dynamic of Saturday’s posts was the fact that people with opinions on BOTH sides shared that my response was “kind of anti-their side”. What I mean by that is that I received emails and phone calls from BOTH SIDES who said that I seem to be favoring “the other side”. To be clear, those without a dog in this fight seem to see things more clearly and the fact that we are simply providing the most unbiased take on things related to the ongoing saga of “Davis WV, 26260”. I will close with what I THINK might be the last post related to Timberline Resort for now, by saying that on Saturday I had hoped to get outside and do some work around my yard. Instead, within minutes of posting the statement and my response – I was on the phone for an hour with one person; 15-20 minutes with another; and I received 22 texts from Mrs. Herz for a few hours throughout the day – and 102 emails related to the posts. I counted them as 94 in favor and 8 against. The YEAS have it. It’s colder into Virginia but highs will still reach into the 60s even at the mountaintops today. Spring is officially here and the weather will now act like it should for today at least. I here there is some chances at SNOW coming Tuesday. The slopes and trails at the ski resorts that at are still open look great with lots of base. 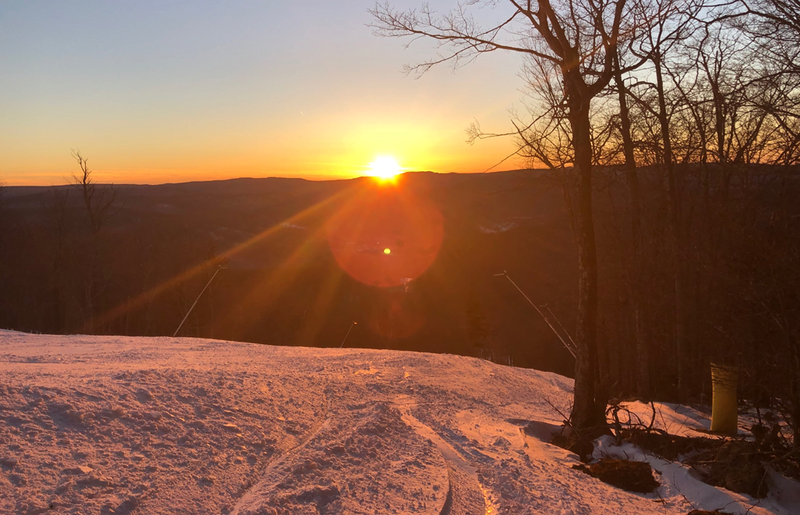 Appalachian Ski Mountain – Last Day of the Season & 100% Open! 12 of 12. Beech Mountain Resort – Closed to the public, but a nice touch…as they will be open today for Season Pass Holders only. They are offering a special ride day to commemorate the season! On Sunday, March 24th, lift five will be open from 9 a.m. to 12 p.m. A cookout and appreciation social will be held from 11 a.m to 1 p.m. on the deck of the Taproom and Grill. This offering is only available for season pass holders, gold card members and BMR staff. The resort will be closed to the general public. They are open with 7 trails with that one lift in operation. Bryce Resort – Still operating with 7 of 8 trails for day sessions. Bill Nabers is hearing that they will be open next weekend, weather permitting and no word yet on being open during the week. Cataloochee Ski Area – Open with 13 of 18 trails and a base of 31-71″. Day sessions only. Massanutten Resort – Still playing on 12 of 14 trails and snow tubing is open with 8 lanes of fun. Today was scheduled to be their last day of operation but the snow is holding up so well that they decided to try it again on next Saturday, Mar 30. They will be closed Mon – Fri but plan to re-open for one more day on Mar 30 from 9:00am – 5:00pm. As always, check back here for the most current information. Snowshoe Mountain – These guys just keep on keeping on with 42 of 60 trails for day sessions. They are playing on a 45″ average base and it looks like they will have Upper and Lower Cupp and Upper and Lower Shays open right til the end of the season…and I cannot think of a year that’s happened. By the way, take your season pass from any WV ski area to the Depot during this final week of the season(March 25-31) and Snowshoe will set you up with a $20 lift ticket! We want to thank everyone who came to ski, ride, and tube this winter. We had tons of fun and hope you did, too. You are an important part of the Wintergreen family and we appreciate your business and your help in making Wintergreen the place to be – all year long. 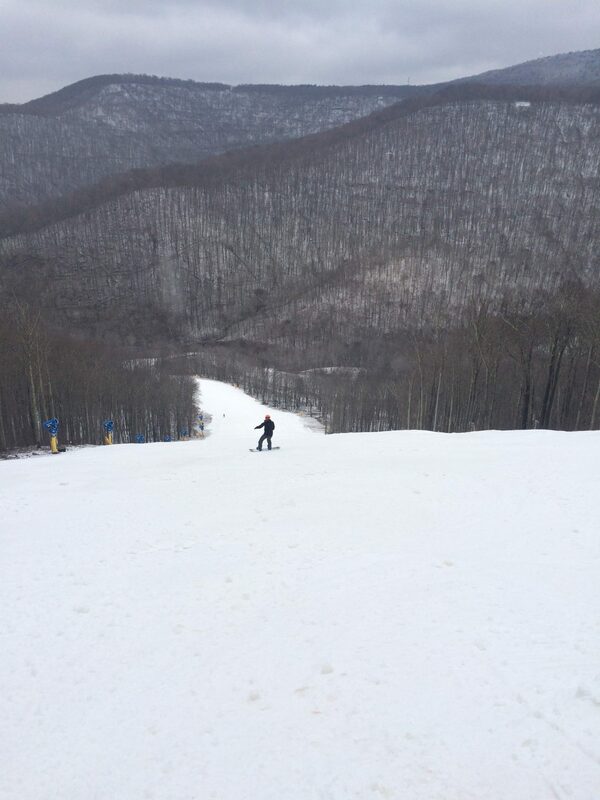 The slopes may close today, but there is still plenty of outdoor adventures to be had at Wintergreen. Get out your fishing rod, bicycle, golf clubs, tennis racket, hiking boots, and swimsuit. Come watch spring unfurl from the bottom of the mountain to the top. What a day at the shoe! STAY WITH US YEAR AROUND and through the Summer…. I received an email from someone yesterday who wanted to know if he could “Join SkiSoutheast”. You are ALL members of SkiSoutheast simply by reading and interacting with us by sending your comments, photos, videos and more. Maybe we will look into doing something more “official”, but just know that I speak for Joe Stevens, Brad Panovich, David McCue, Kenny Griffin, Rudy Ryback and myself when I say that we appreciate YOU, our readers and viewers. In much the same way that Wintergreen mentioned the fact that while they close for snow ops…they remain open for year-round fun…the same is true for many of the resorts. Mountain biking and hiking are available at many. So too is zip lining and more. 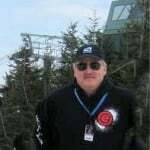 Here at SkiSoutheast.com we too want to invite you to continue to follow us all summer long as we still offer ResortCams.com which is a great way to virtually visit our southeast and mid-Atlantic mountaintops all year long. Additionally, if you’re planning a visit to any of our mountains, be sure to visit www.HighCountryVacations.com as we feature the best lodging, dining, breweries, wineries, shopping, attractions and more. We will be ramping that website up to offer travel suggestions and more. Also Follow Us / Like Us on Facebook as we plan on merging SkiSoutheast, ResortCams and HighCountryVacations as well as our weather content. So the best place to get any information on any of your favorite mountains, anytime of the year will be right here with us.